No one can talk down the importance of two movements, Enlightenment and Great Awakening, in the history of the Western world. These two movements changed the course of their lives and ended the “dark age” of Europe. All the progress is directly or indirectly the result of these inspirational movements. The Great Awakening occurred after Enlightenment and some critics are of the view that the latter was a reaction to the former movement. However, there is no doubt in that both movements changed the destiny of the Western world. As they took place in almost same time period and their effects were almost similar on society so a majority of people think they are same. It is right to some extent but there are a couple of differences that make them entirely independent movements. A student of history must know the differences to understand their influence. The first basic difference is the people who initiated both movements. One must know that Enlightenment was started by liberal parts of society whereas the Great Awakening was powered by conservatives. The Enlightenment was influenced by philosophers and scientists whereas the religious leaders became the Great Awakening’s originators. Moreover, Enlightenment followed a trickle down strategy whereas the Great Awakening had mass appeal straight away from the beginning. Enlightenment gave importance to reasoning and had a methodological approach towards things. On the other hand, the Great Awakening had an influence of religion and it tried to reconnect people with God. Another difference is the nature of participants as the Great Awakening attracted the wretched whereas Enlightenment was controlled only by the intellectual elite of society. Enlightenment tried to bring some reasoning to the lay man’s life and free him from the shackles of religion. 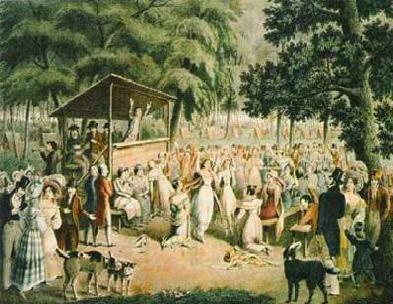 However, the Great Awakening aimed to restore faith and bring religion back into the common man’s life. Enlightenment is the time period between 17th and 18th century when the whole of Europe was following a philosophy of reasoning. The intelligentsia of Europe, that includes Copernicus, Galileo, Newton, Locke, and Franklin, questioned the authority of the Church and initiated a scientific revolution. This movement was started in the middle of 18th century and that is why people believe that it was a reaction to Enlightenment. 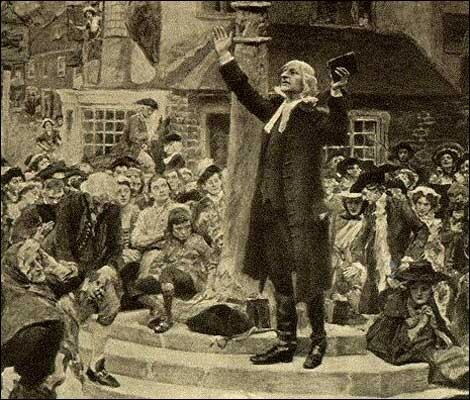 In this movement, Jonathan Edwards, Wesley brothers and George Whitefield tried to make people realise that they are losing a connection to God and they must not throw religion away from their lives.